The latest installment of the iconic Air Max series is upon us, and once again Nike&apos;s got a winner on their hands. With fall in full swing, the Swoosh just previewed the next colorway set to drop for the 2015 model, and it&apos;s got straight up ice in it&apos;s veins. We don&apos;t expect a release until around December, and this colorway is built for those frigid winter months. The upper comes in a white mesh base, and features a icy blue tone as a base layer, and accents through the Swoosh branding and Flywire cables. Nike finished off the look with black hits through the Flywire as well, and a full length Air Max outsole that fades from icy blue to black from toe to heel. 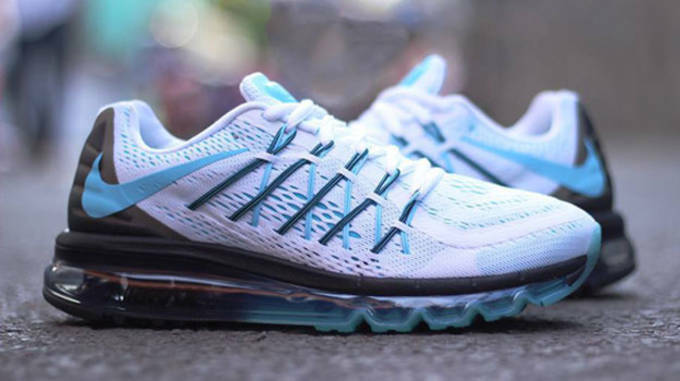 This may be one of the best Air Max 2015 looks so far, but it&apos;s also a premier runner that gives users the breathability, cushioning, and locked down feel your looking for. Get a full look at the shoe below, stay tuned for release details on this Air Max 2015 when it surfaces.